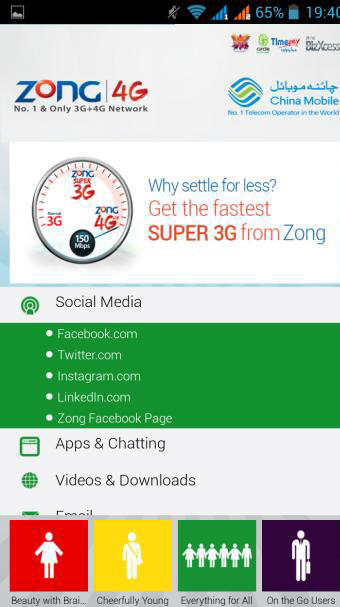 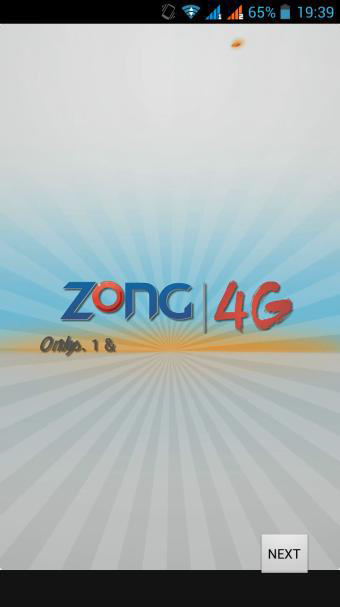 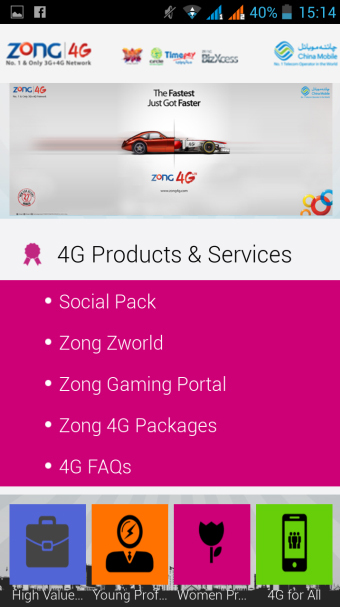 This app allows the Zong franchise visitors to compare the internet speed of mobile internet and Zong 3G internet. 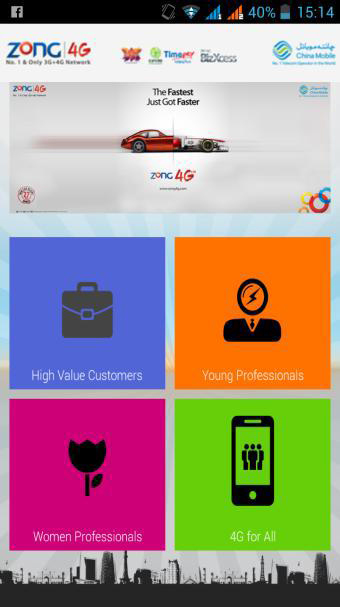 Users are asked to choose their segment according to their age, gender, and profession. 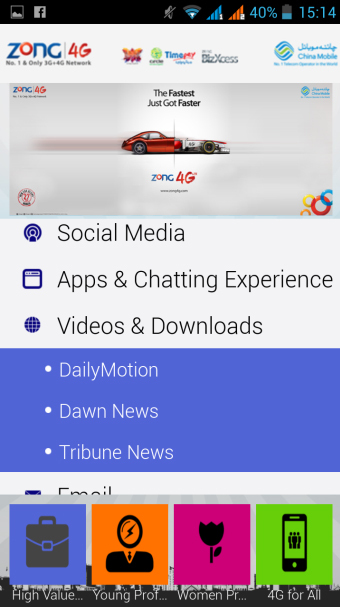 Then they are asked to perform various internet activities such as making a Viber call, sending WhatsApp messages, browsing any website in mobile browser, or checking Facebook/Twitter feeds.